Always good news news when something or someone passes a test, and so it is with this complex instrument. The Tropospheric Emissions: Monitoring of Pollution (TEMPO) instrument, designed and built by Ball Aerospace for NASA, has completed spectrometer testing and verification. TEMPO was selected by NASA as the first Earth Venture-Instrument to provide hourly measurements of air quality across North America. This instrument will make precise measurements of the key constituents of air pollution, including nitrogen dioxide, ozone, sulfur dioxide and atmospheric aerosols that have the greatest impact on human health and agriculture productivity. 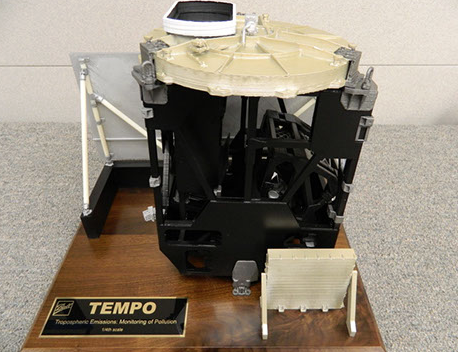 TEMPO instrument model fabricated by Ball. Kelly Chance, TEMPO Principal Investigator, Smithsonian Astrophysical Observatory said that the completion of characterization and calibration of the TEMPO spectrometer is a critical milestone in the development of their fundamental atmospheric pollution mission, which is a result of collaboration among Ball Aerospace, NASA's Langley Research Center, and the Smithsonian Astrophysical Observatory, and that together, they are all looking forward to the next steps on the way to providing hourly atmospheric pollution measurements for greater North America. Data from TEMPO will provide chemical weather maps of air pollutants that can be overlaid onto a map of the continental United States. TEMPO is expected to improve air quality prediction accuracy by 50 percent and improve daylight measurements of atmospheric pollutants across the nation. This instrument will enable high-confidence forecasts of poor air quality events so vulnerable citizens such as asthma sufferers, the elderly and young children can take proper precautions, and aid farmers in making decisions to maximize crop yields. 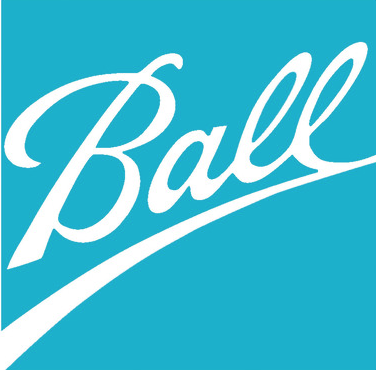 Jim Oschmann, Vice President and General Manager for Civil Space, Ball Aerospace. added that Ball is leveraging their over 40-year heritage in Earth-observing instruments to partner with NASA and the Smithsonian Astrophysical Observatory on TEMPO, He added that this instrument provides significant advances in their ability to measure and understand major air pollutants, and it demonstrates an innovative and low cost approach to space-based, science-driven missions that broaden their understanding of the Earth system. TEMPO will leverage the Air Force's Hosted Payloads Solutions (HoPS) contract, a service the Air Force uses to match payloads with commercial hosts, such as communications satellites that will fly in geostationary orbits. NASA Langley, located in Hampton, Virginia, manages the TEMPO Mission and will procure the spacecraft host. The launch date is yet to be determined. TEMPO continues NASA's tradition of developing missions that expand our knowledge of Earth system science and providing societal benefits to the Earth's citizens. TEMPO will significantly enhance the study of air quality and better measure its impact on humans and agricultural production.